I think they are kind of fun because you can load shorter bits of film to casettes. 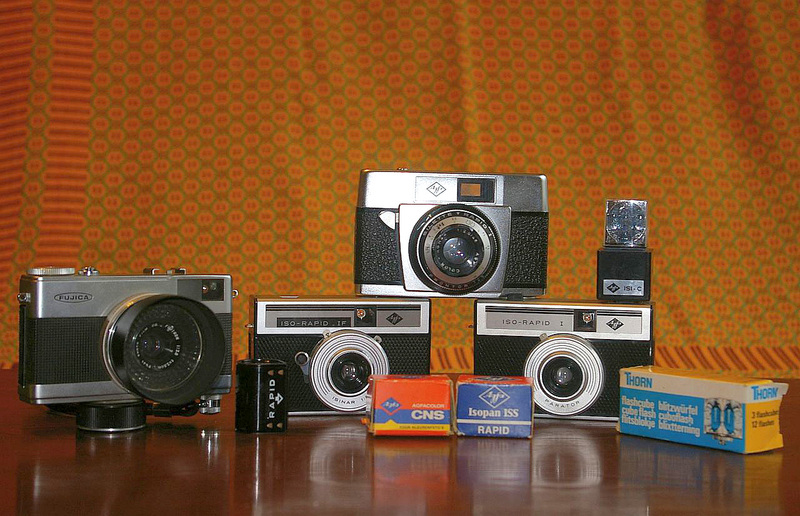 I "played" with some 'Rapid' cameras about 15-20 years ago, for a short while. 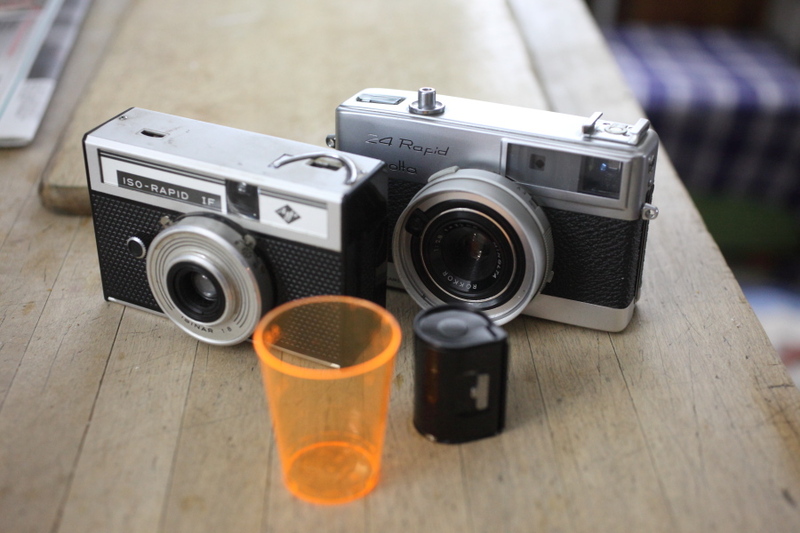 My favourite was the Fujica Rapid D1, half-frame 18x24mm negative, automatic exposure with a selenium cell (like the Olympus Trip) and a clockwork motor drive, unfortunately the example I acquired didn't actually work! There is an amazing array of these rapids, even an slr, don't remember what brand. Problem with most of them they are old selenium cell based automatic exposure cameras and most of them don't work. And they have this pre-dx-coding system of iso-detection with a metal pin. That's why I was glad to find this Minolta which is fully mechanical. nice you still have them!